Concord Shading created this custom Angled Shade for a client in Toronto. 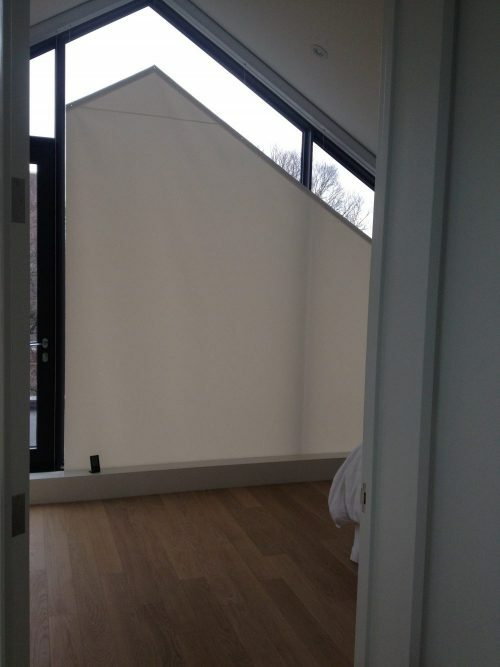 The shade was designed during the home renovation with the builder and interior design to hide all of moving components in a custom made box at the bottom of the window. This sunscreen was picked for the client to have privacy, but still allow for light into the bedroom. Concord Shading has specialized in Angled Shades (also know as A-Frame Shades) for over 30 years.